Courseplay is a well-known and wide-spread mod of Farming Simulator. Right from its introduction in 2012, the mod became extremely popular. This happened for a reason – Courseplay is an irreplaceable mod for automating your farm. During the past years it has improved greatly and we can already experience that in FS17 game version. But what about Courseplay in Farming Simulator 19? We can hope for the best as Giants Company has approved their discussions with developing team of Courseplay. The negotiations were targeting a conversion of the current Courseplay. So, it might happen that we will see a new Courseplay Farming Simulator 19 mod version. Looking at the previous version case, Courseplay was published one month later after the official FS17 launch. However, the version by Modhub was a bit more delayed and was released few month later. 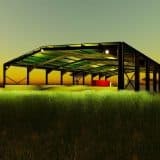 Depending on success, we might see a final FS 19 mod version early in 2019 or even sooner. Many modders and developers are involved, so it might speed-up the process. HOW TO INSTALL COURSEPLAY for FS19? Copy the archive file FS19_CoursePlay6.zip to your mods folder. That’s all, folks! For the people that don’t get it to work. Unzip the .zip file and then zip the “FS19_CoursePlay6” folder and then move that to your mod folder. 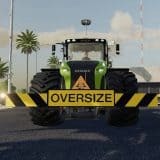 Disable or temporarily remove all mods from Farming Simulator 19 mods folder and try again. Please comment bellow which steps helped you to run Courseplay. If you solved an issue in different way, please let us know in comment section!